It’s not difficult to find good beer in Oregon. Just about every little town has a brewpub, most serving a good beer or two. But for beer lovers willing to wander off the beaten path to the small mountain town of Oakridge, you’ll find Brewer’s Union Local 180, Oregon’s only real ale public house. Every BU180 beer is brewed from a recipe specifically crafted for cask conditioning (as opposed to the slightly more common practice of cask conditioning a beer usually served from a keg). The difference is palatable. Read the full story on Hopstories.com. Editor’s note: Hopstories tell the stories behind Oregon’s breweries. Find more stories or nominate a local brewery at Hopstories.com. 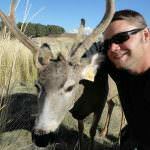 Adam is a graduate student studying wildlife at Oregon State University. When he’s not chasing critters or buried in data, he’s usually writing a short story, drawing a comic, or drinking beer. To see what he’s up to, check out his blog at adamsapple2day.blogspot.com.